Check out this cool USB flash drive that was designed by Alain Berteau for Tamawa. This flash drive is made out Bakelite, the same material out of which they make billiard balls. What’s really cool is that you can choose a between a combination of 7 colors for each of the ‘beads’ that make up this flash drive. Since you can pick the colors for each component, there are a ton of possible color combinations. 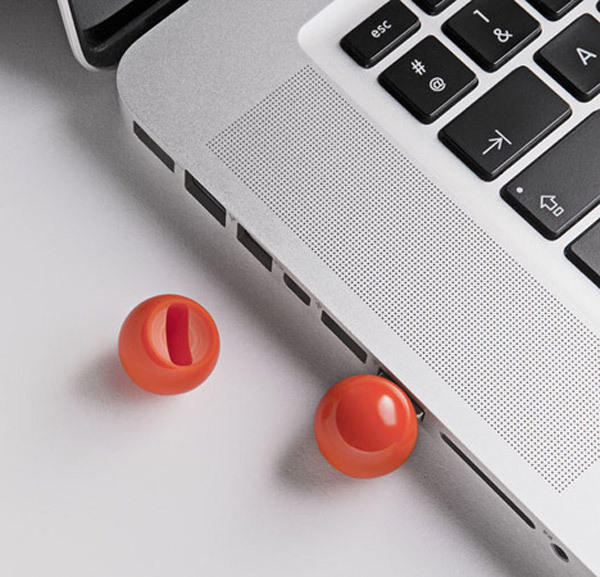 The flash drive itself stores 8GB and is made up out of two identical 21mm Bakelite beads, that close up perfectly when the flash drive is not in use. They are available in seven official snooker colors and will cost €86 (~$124 USD) and can be ordered of Tamawa’s website.